Are Multivitamins a Waste of Money? Multivitamins seem like a wonderful solution to the issue of a busy lifestyle and an ever-increasing thirst for health, fitness and improved physiques. More than ever it is understood that the key to a healthy, vibrant existence is good nutrition. And having a catch-all solution. One that makes sure you have all your bases covered in a single pill per day. Is, understandably, something that is easy to gravitate to. Particularly in the winter months. With flus & colds abound. Anything that could boost our immune systems seems worth trying. But then, we are also all very aware of the adage that, ‘if something seems too good to be true, it probably is’. So, what is the truth? And which forms of supplementation, if any, are worthwhile? The content that follows is extremely in-depth. And whilst it is certainly worth the time to read in full. But if you only have time to skim through at the moment, I’ve created a handy ‘cheat sheet’ for you to download as a quick reference guide to the key elements below. There have been numerous studies looking at multivitamins, across the globe, in recent years. And every one of them has come to the same conclusion. That multivitamins provide no benefit to the user what-so-ever. It could be argued that each study had a very narrow focus. For example, a recent study carried out in Canada and published in the Journal of the American College of Cardiology looked into the effects of the most commonly taken supplements (in particular multivitamins, vitamins C & D, and Calcium) on cardiovascular disease. It found there was no benefit in any of them for that purpose. However, that, alone, does not rule out other benefits. However, when you start to look at the studies on multivitamins alone, you start to see a trend. In that, no matter the test parameters, there is never any benefit to this method of supplementation. Even if, hypothetically, there were any benefit to supplementing with a multivitamin. Not all multivitamins are created equally. The manufacturing process can vary wildly. Especially the most commonly consumed (cheapest) versions. Mostly created with low quality, synthetic versions of the vitamins they claim to provide. Further, to facilitate the manufacturing process, they often have additional chemicals and additives included. Even if these supplements were manufactured to a high standard; and if they contained only the best quality versions of the nutrients they claim to include; they still wouldn’t work optimally. Where some vitamins and minerals combine to improve uptake and beneficial effects. Other combinations actively block each other. In other words, stuffing all the nutritional requirements of your body for a 24hr period in one sitting is causing more conflict than benefit. As a result, it could never work effectively. Fortunately, nature does a very good job of dividing these sources for us. This is why a healthy, balanced diet is always the ideal approach to improved health and well-being. Unfortunately, nature is not, for most of us, the source of our nutrition (even when ‘food’ is our primary intake). With modern farming techniques. The creation of processed foods. And one eye always on the financial side of the equation. Finding wholesome natural sources to fill our weekly food planners is borderline impossible. And, even if were possible; for many it remains financially prohibitive. Therefore, sticking to what is readily available. Then making up the shortfall with supplements. Is not only more convenient; it could, for many, be necessary to ensure deficiencies are overcome. However, to do this effectively, it is important to understand which vitamins and minerals work together. And, conversely, which combinations should be avoided. Where you may be likely to have shortfalls. And which supplements are more important depending on your current goals or sticking points. 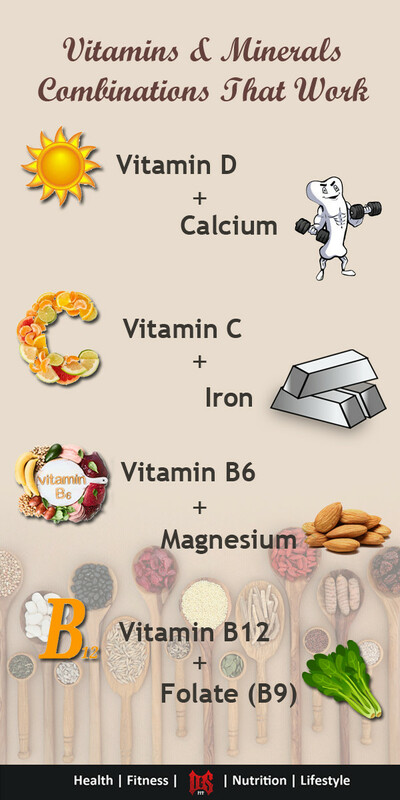 Which vitamins work best together? The nutrients are listed as a singular entities on most product labels. RDAs (Recommended Daily Allowances) are similarly segregated. Yet, many of the vitamins and minerals we consume work in partnership with another. As mentioned above, nature often does the job of pairing things for us. Therefore, by consuming a variety of foods, including a mix of fruits and vegetables, we are likely keeping our bases covered. However, by knowing some of the more crucial pairings, it can help in making more informed choices. It should also make it easier to spot areas where we might be deficient. And further, suggest ways to fill the gaps appropriately. The following pairings are by no means a definitive list. But they cover a large proportion of the issues most of us would be concerned about on a regular basis. When consumed in large amounts, there is little issue in absorbing calcium. However, when smaller levels are available, Vitamin D is utilised in the absorption process . Whilst calcium is the most commonly paired mineral with Vitamin D, it can also help with the absorption of phosphorus and magnesium. The effects of calcium on the strengthening of bones is well known. However, the benefits of Vitamin D, or the effects of a deficiency in this area, are becoming more understood. And the importance of this vitamin, it would seem, has been vastly under emphasises. Particularly when it comes to its effect on the immune system. Given the most common and efficient route to topping up on vitamin D is exposure to sunlight, it would seem logical that colder countries or those with extended periods of darkness (including the UK in winter months) would have more reason to require alternative sources of intake or supplementation. Yet, studies of those from more tropical climates have shown that deficiencies in this particular nutrient remain common place. As such, inclusion of food sources that include vitamin D, such as oily fish and egg yolks (yet another reason to stop removing your yolks to make your eggs healthier – see this article for more on the misconception of eggs on your health) would be beneficial. And pairing their intake with calcium rich sources, such as seeds, nuts or broccoli, would make a lot of sense for a double benefit. Iron is extremely important in the production of red blood cells and the transportation of oxygen through the body. A common reason for feeling fatigued is a deficiency in iron (particularly in women) and, despite being available in most meats, along with beans, nuts and whole-grains, deficiency in this nutrient has become extremely common. Vitamin C, however, aids the absorption of iron. And it is particularly important when consuming plant-based sources of iron. Therefore, if your iron sources are exclusively or predominantly plant based, it is recommended that you ensure adequate vitamin C intake. Although Vitamin C is most commonly associated with Oranges, there are many other, often more potent, sources of Vitamin C to include when you are looking to boost your uptake of Iron. Chili Peppers, Blackcurrants, Kale, Kiwis, lemons & Broccoli are all extremely rich in Vitamin C and should be considered as strong options for including when looking to increase your iron levels. Whilst Vitamin C is commonly associated with fighting the effects of the cold, it has been shown that the effect it has is, at best, minimal. Zinc, on the other hand, has some very strong research backing its effectiveness in this area (a topic I will look to cover in greater detail in a future article). 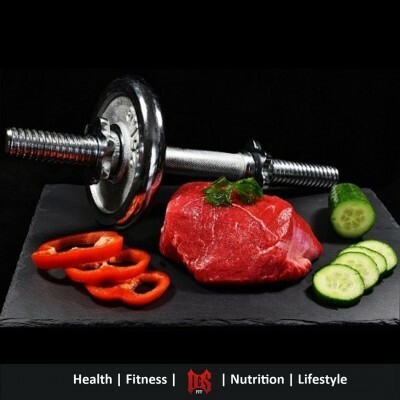 Zinc is also useful at repairing the body from wounds and also from the point of view of athletes and gym goers (muscle repair after a strenuous workout). Whilst the evidence linking Vitamin C and Zinc is not yet conclusive, there has been significant evidence showing a correlation in deficiencies. If one is low so, in most cases, is the other. Given there is no evidence to show that one blocks the uptake of the other, combining their intake would be logical. (Though not post workout – see below). Given Vitamin C plays well with both Iron and Zinc, you’d be forgiven for assuming that Zinc and Iron would also be good bedfellows. However, as we’ll explore later, this is not the case and so mixing all 3 is not a good idea. This one is controversial as, generally, zinc and magnesium actually compete for uptake and would be best kept apart (see below). However, via the supplement known as ZMA, the type of Zinc used is a chelate known as zinc monomethioniane/ aspirate and magnesium asparate. In this form, the interference in absorption is minimised and in using this particular supplement, the correct balance of Zinc, Magnesium and Vitamin B6 is regulated by the supplement. Supplementing with ZMA, for athletes, has been shown to be incredibly beneficial. Plus, the two minerals, separately, have very positive effects on health and well-being. That said, the reason for inclusion here is to ensure that there is no confusion when, further down the page, we demonstrate that they do not play nice when taken as separate sources at the same time. The other key element in ZMA supplementation is Vitamin B6. However, unlike Zinc, beyond the supplementary route to intake, these 2 elements do play well together. Both these elements are essential for proper metabolic function. Magnesium has been shown to be essential in the metabolic processing of carbohydrates and fats. Whereas, Vitamin B6 focuses more on the metabolism of proteins. As with Zinc, Vitamin B6 is also known to support your immune system. Magnesium, on the other hand, has been shown to improve quality of sleep, reduce symptoms of chronic pain, fatigue and insomnia and may also play a role in insulin resistance, particularly in young adults. Together, according to a 2006 study in Magnesium Research, there is evidence of improved social interaction and communication in children with autism. However, absorption of Magnesium is determined by the level of vitamin B6 in our bodies (along with Vitamin D & Selenium). As such, there is little point in increasing intake in Magnesium without ensuring you are also taking in sufficient levels of B6. Whilst it is certainly possible to suffer negative effects from over indulging in either, it is generally thought that current guidelines on Magnesium intake levels should be increased. Magnesium is available from most foods that are high in fibre, such as whole grains, vegetables (especially broccoli), legumes, Brazil nuts, almonds, brown rice, dates, and pumpkin seeds. However, the list is plentiful. Yet, most people consuming western diets remain deficient. Partly this is down to the fact that high fibre diets are not common and also, as mentioned, uptake is not only dependent on intake levels, but requires assistance, particularly from vitamin B6. Good sources of vitamin B6 include Chickpeas, Beef Liver, Salmon, Tuna, Potatoes, Bananas & Nuts (many of which also contain magnesium). This combination is one of the most crucial and potent on the list. Working together to support some of the most essential processes of cell division and replication. Folate, itself one of the B vitamins, depends on B12 to be absorbed by the body. Therefore, the combining these two vitamins together is a good idea, but there is also the issue of getting the balance correct. Something we’ll explore in more detail shortly. 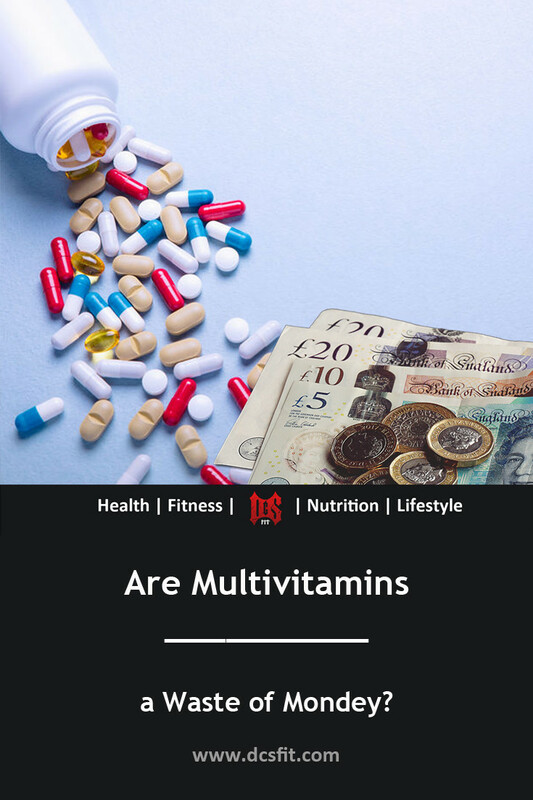 Given the need to combine so many vitamins and minerals, it does lead to the conclusion that simply combining a huge number of food sources or utilising a ‘catch all’ multivitamin would be a good solution. However, where many vitamins and mineral combine to make for a beneficial outcome, the list of pairings that actively inhibit one another is far greater. Again, this list is not conclusive, but it does give a good feel for the main culprits to look out for and shows exactly why the multivitamins that swamp the shelves in chemists & supermarket medical isles are a waste of money that could be better employed elsewhere. If you have only skimmed to here, reading the headings, this will be confusing. How can Zinc and Mangnesium be good together and yet avoided taking together? The reality is that, as a rule, Zinc inhibits the uptake of Magnesium. That said, the most detailed test proving this involved high levels of Zinc and fairly low levels of Magnesium. There is some evidence suggesting that at low levels both would be absorbed adequately. This makes some sense as, given they are both competing for absorption, if there is less competition on both sides, it is likely both can be absorbed. If, however, you are looking for higher levels of intake (which could be wise as deficiency in both these minerals is common), you are best to either separate them (favouring Magnesium in the evenings and Zinc in the mornings) or look to a ZMA supplement (see above). Zinc inhibits the absorption of copper and consumption in high doses can lead to a deficiency. It is important that Zinc levels are higher than that of copper levels, but not to the extent that a deficiency in the latter occurs. As ever, nature will always do the job well and if you were to consume food sources rich in both these elements (such as Beef, Nuts & Seeds) there will never be an issue. However, if you up your Zinc intake via supplementation (as you might for a boosted immune system), you could cause a deficiency in copper. Therefore, it would be wise to look to consuming copper rich foods (or supplements if needed) separately from zinc supplements. Like Zinc, Magnesium also impairs the absorption of copper and so should be kept apart. Similarly, magnesium impairs the absorption of iron and should be kept separate to avoid deficiency. Both nutrients compete for absorption and therefore should be avoided together where possible. Zinc, when consumed with Folate (Vitamin B9) makes insoluble complexes out of it ensuring it cannot be absorbed. Obviously then, if you are looking to increase your levels of folic acid (particularly important for new mothers) you should avoid combining it with sources of zinc. High levels of Calcium decrease the absorption rate of iron. However, this can be mitigated, to a large extent, by the consumption of Vitamin C (see above). But, obviously, where possible, it is easier to simply keep these elements apart. Increased levels of both Iron and Calcium also has an effect on Zinc levels causing a deficiency. Caffeine has also been shown to inhibit the absorption of Iron. As such, drinks high in caffeine should be avoided during the consumption of iron rich meals. High levels of calcium can also cause a deficiency in magnesium and vice versa. As they effectively compete for absorption, whichever is present in higher quantity will generally win ousting the other and causing the deficiency. Given many ‘bone strengthening’ supplements pair these two together as a supplement, this may be a surprise to many. However, it only adds to the argument that paying for supplementation in pill form is often a waste of money. High levels of sodium enhance calcium excretion and can cause a deficiency. Just one reason to manage your salt intake (see below for more). Iron interferes with the absorption of Vitamin E. As such, it is best to keep intake of each nutrient apart. Vitamin C can break down Vitamin B12 in your digestive tract and therefore reduce absorption. I understand this is also true when Vitamin B1 is consumed with Vitamin B12 (making the idea of a Vitamin B Complex supplement far from ideal). However I’m struggling to find hard evidence to support this. Given the importance of B12 in production of red blood cells, as well as helping maintain correct function of your brain and nervous system, it is advisable to ensure there is no deficiency in this area. Common symptoms of Vitamin B12 deficiency are fatigue, constipation, loss of appetite and even loss of vision. As such, when looking to ensure you are sufficiently fuelled in this area, leave the Vitamin C (and B1 for safe keeping) for another time. Phytates are antioxidant compounds found in whole grains, legumes, nuts and seeds. The problem with these compounds is that they can bind to trace minerals (in particular zinc & magnesium) and slow their absorption. Therefore, if you are ONLY utilising nuts for your intake of magnesium, you may not be getting as much as you think. Soaking or cooking these food sources can reduce phytic acid content somewhat, which helps the situation. However, the best route to avoiding deficiency is to ensure a variety of food sources for your intake. As B Vitamins are water soluble, they are easily flushed through your system when not being utilised. However, alcohol speeds up the flush of B vitamins as well as interfering with their absorption, meaning that alcohol consumption could lead to a deficiency in all the vitamins that make up the B complex range even if you appear to be consuming sufficient quantities of them all. Given alcohol is already acting as a strain on your liver; flushing water and leaving you, most likely, dehydrated and therefore feeling fatigued; a shortfall in B vitamins, which, collectively are vital to proper function of the body and general energy levels, is certainly something worth avoiding and therefore, should be an area of concern and focus if you partake in the occasional (or not so occasional) tipple. As Vitamin C (as with the B vitamins) is water soluble, it is not stored in the body and as such, for best effect, should be consumed throughout the day. However, Vitamins C & E have a very unwanted effect when taken around or post workout. One of the advantages of exercise is an increase in insulin sensitivity making nutrients taken in more easily utilised and less likely to be stored as fat. Plus, improved insulin sensitivity is of huge advantage to those with Type II Diabetes. Some people have been known to advocate taking Vitamin C post workout to prevent DOMS (Delayed Onset Muscle Soreness). However, studies have now shown that supplementing with vitamin C and/ or E post-post workout negated any boost in insulin sensitivity. As such, anyone looking to maximise the benefit of their workouts should avoid vitamins C & E and any other antioxidant rich foods around the time of their workouts. Again, the combinations listed above are far from exhaustive, but these are some major, and commonly linked, nutrients that should be, wherever possible, kept apart. However, what is abundantly clear is, with all these nutrients warring for attention, absorption and balance, the idea of combining them all in one ‘handy pill’ is ludicrous and a complete waste of money. 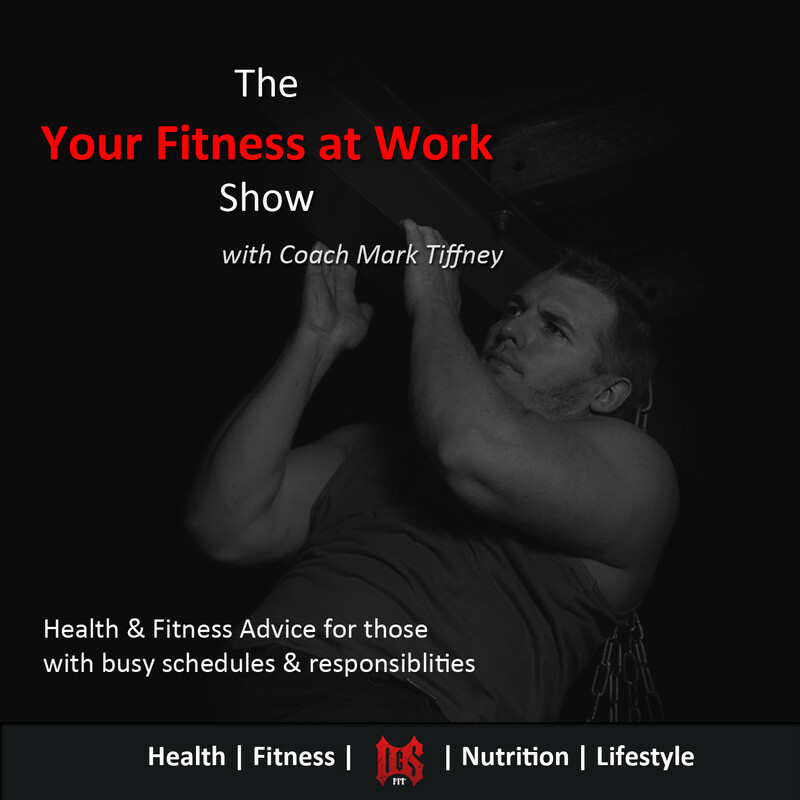 One of the biggest issues within the fitness industry is ‘Binary Thinking’. Too often the answer being presented is that one thing is ‘bad’ and another ‘good’. The result, low carb diets, low fat diets, high protein diets, no salt diets, no sugar diets, all fruit diets and so on. Ultimately there is very little, when it comes to fitness or nutrition, that is so black and white. The true answer is always somewhere in the middle and varies from situation to situation and person to person. Similarly, with nutrients, although some work well together and some clash, there is still a need for balance throughout the day. And, to that end, there are several pairings that require that balance to be well managed for optimal effect. Often salt gets tarnished with the ‘bad’ brush and something to be avoided at all costs. And whilst the average ‘table salt’, which is factory created, is not something you should be rushing to add to a healthy diet any time soon, salt (or sodium) is absolutely necessary as part of a healthy nutritional approach. We need sodium to maintain fluid levels in the body. However, where the stigma comes is down to the common levels of indulgence in most western diets. Over consumption of sodium interferes with the natural ability of blood vessels to relax and expand. It also causes water retention, forcing an increase in blood volume and therefore high blood pressure (which could lead to a stroke or heart attack). Potassium, on the other hand, encourages the kidneys to excrete sodium and therefore improves the situation. Thus, it’s not just about the volume of sodium ingested, but rather how well balanced the intake of sodium to potassium is. The ideal balanced level of potassium to sodium is approximately 4:1 in favour of potassium. The issue is that, for most, it’s closer to 1:1 or worse. So, the take home here is, aim to include more potassium in your diet, cut back on the salty snacks and, if you do have a day of indulgence on sodium rich foods (ready meals, salty snacks etc), look to up your potassium levels thereafter, to redress the balance. We have already covered the fact that these two vitamins make a good pairing, but there is also an issue of balance. And given their importance, it is worth looking at in a little more detail. If you are a mum (or a dad that pays attention to details) you possibly already know about this combo. It’s something that is frequently highlighted when talking about nutrition around the birth of a child. These nutrients work together to support many of the most fundamental processes of cell division and creation in the body. However, to be absorbed and metabolised folate is reliant on Vitamin B12. Unfortunately, this is a pairing that nature doesn’t tend to make easy, despite the reliance on one another, as they are predominantly found in very different areas of the food chain. In general terms, vitamin B12 is found mostly in foods that originate in animals. Meat & eggs as well as dairy products being the most common sources. Folate, on the other hand, is best sourced from sources that would likely make up a large chunk of a vegetarian or vegan diet, such as leafy green vegetables, legumes and beans. Now many breakfast cereals have added B12. However, that is not exactly the healthiest option for nutritional purposes and, because they are mostly consumed with milk, it can often remain an issue for strict vegans. Vegans have an additional disadvantage here in that, even if the B12 is consumed in sufficient quantities, due to lack of ‘intrinsic factor’ (a protein produced by stomach cells that is required for B12 to be absorbed in the small intestine) which a 2010 study demonstrated was lacking in 52 percent of vegans, the deficiency will remain as the B12 will not be absorbed. Again, the purpose of this article is not to make judgement on moral choices however, simply to point out that this is a particular area of concern that requires a lot of focus to ensure good health if you are looking to remove animal products from your diet and this is one area where supplementing (or even receiving injections) to remedy a deficiency might be a very good choice. As one element relies fully on the other here, once again, a good balance is more important than individual quantities. Very small quantities of B12 are required for uptake of folate with a recommended level of just 2.4 micrograms of B12 required for an intake of the recommended 400 micrograms of folate. Omega 3s have, in recent years, had a lot of good publicity in the food industry. Many products are keen to plaster their packaging with the ‘Rich in Omega 3’ label. And it’s brother, Omega 6, gets to carry the mantel of the ‘big bad’ in this scenario. However, as with sodium and potassium, it is not that one is bad and the other good, it is the tendency in modern diets to over consume Omega 6 fatty acids in relation to the level of Omega 3 that causes issues. Where a ‘healthy’ balance would be in the realm of 4:1 in favour of omega 6 (and anything closer to 1:1 would be a bonus), the average western diet is at least 12:1 and in many cases comes closer to 25:1. Thus, the promotion of increased Omega 3 intake is certainly advice worth following. However, a reduction in the consumption of Omega 6 is similarly beneficial in bringing this ratio in line. If the ‘good’ and ‘bad’ policy was to be believed, Omega 6 oils would be completely eliminated. But, if this occurred it would create just as great a problem as both are essential for proper function and health purposes. Thus, the labels of ‘good’ and ‘bad’ are, as ever, misplaced. Omega 3 & Omega 6 oils are classed as EFAs (Essential Fatty Acids). From the name alone, the use of the word ‘Essential’ demonstrates their importance. EFAs are a must for any nutritional approach to be fully effective. Omega 3 fatty acids are generally split into 2 forms, EPA and DHA. They are primarily sourced from oily fish, such as salmon. ALA (alpha-linolenic acid) is also an omega 3 oil. But it is found in plant sources such as nuts and seeds. Having enough Omega 3 in your system is necessary for lowering triglyceride levels (elevated levels of which put you at greater risk of heart disease), improve stiffness and joint pain, lowering levels of depression and improved visual and neurological development, especially in infants. Studies have also shown improvements in asthma sufferers, ADHD, Alzheimer’s disease and dementia. But, most crucially, again, given their ‘essential’ nature, sufficient intake is required to simply function correctly. Good sources of Omega 3s include Salmon, Mackeral, Sardines, Tuna & Anchovies. Omega 6, as with Omega 3s, are ‘essential’ for healthy function in general. They also help in lowering LDL cholesterol and boosting HDL levels (see below) as well as improving the body’s sensitivity to insulin. And, in combination with Omega 3s, are useful for healthy heart function. Again, the inclusion of sources of Omega 6 fatty acids is essential for healthy function and so to use the ‘bad’ moniker here is giving a very narrow view. Omega 6 oils are found predominantly in vegetable oils such as sunflower oil, as well as seeds and nuts. As mentioned, it is the ratio of Omega 3 to 6 that is of more critical importance. A good target to aim for would be around 1:3 in favour of Omega 6s. However, as with sodium and potassium, getting hung up on measuring to that level is, for most, going to be counter productive due to the stressful effects it could bring when added to a busy lifestyle. Therefore, simply understanding both are beneficial, but lowering intake of Omega 6 and upping intake of Omega 3 is going to be beneficial, is all that is needed to ensure positive steps are being taken. I’m not going to go too in-depth on this as it is a subject that could take up an entire article on its own. And I touched on this when discussing cholesterol and eggs, so feel free to have a look over there for some further reading. The main point is, there are two forms of Cholesterol. LDLs (Low Density Lipoproteins) and HDLs (High Density Lipoproteins). The former is the type you consume and the latter is produced in the body. When most people refer to ‘High Cholesterol’ they are refereeing to high levels of LDLs (often referred to as ‘bad cholesterol’). As ever though, it’s not that simple. High levels of LDLs is not necessarily ‘bad’ if your HDL level is similarly high. Unlike the other elements listed here, you can’t simply consume more HDLs though to balance things out. But there are food types that have been shown to keep things in balance a little more. As already mentioned, Omega 6 consumption has been shown to lower LDL levels in the body and it continues to surprise people that eggs (including the yolks), despite containing LDLs have been shown to increase HDLs in the body to a greater amount than the LDL levels consumed and thus improve the ratio rather than making it worse. The point I’m making here is that this is another way of debunking the idea of ‘good’ or ‘bad’ thinking and highlights that often the issue is more to do with balance than complete elimination of elements. This one isn’t so much a balancing act, but the two are interlinked. Niacin (also known as Vitamin B3) is primarily known for its positive effect on cholesterol balance. Large doses have been shown to both lower LDLs and increase HDLs, resulting in a greatly improved ratio (assuming there was an issue in the first place). Tryptophan is an amino acid and is one of the nine EAAs (Essential Amino Acids) that must be consumed as they cannot be produced by the body. Whilst all 9 are crucial (and completely present in all meats and eggs) the reason for focusing on Tryptophan is that it supplies the body with Niacin. Both nutrients are readily available in meat, such as liver (which has very high levels of Niacin), Chicken Breast, Tuna etc. A good non-animal-based source of Niacin is seaweed, but it is also available in potatoes, sweet potatoes, parsnips and pumpkin. As it is so readily available, deficiency is not nearly as common as some of the other nutrients listed here, but it is another example of a link between nutrients showing that not everything should be viewed in a vacuum (or as simply ‘bad’ or ‘good’). The short answer, in a perfect world, would be none. However, it’s not a perfect world and there are many reasons why you may look to supplementation to balance things out and make up for deficiencies. The one thing that is clear from everything above, though, is it should never be a situation where you try to cover all bases in one go or look at individual nutrients in a vacuum. Before considering any level of supplementation, it is always worth looking at your diet to see if there are areas that can be improved through food choices before jumping at pills and powders as, in almost all cases, nature does the job better. Farmed foods are generally not as nutritionally rich as the wild equivalent. Wild salmon, for example, has a much better Omega 3 to 6 ratio than farmed salmon. Organic vegetables, whilst more expensive, contain more vitamins and minerals ensuring you need less of them for the same nutritional value. Cruciferous vegetables (spinach, broccoli, sprouts etc) provide digestive enzymes that make absorption from all foods more efficient. So, including one of these vegetables with every meal can be a very simple route to improved uptake of all nutrients. And, returning to balance, variety in food choices, with particular focus on a ‘rainbow’ of colours (natural colours, we’re not talking smarties or M&Ms here) can ensure a range of nutrients are being absorbed. Not forgetting, where possible, to soak your grains whenever possible to reduce the blocking effect of phytates. I’ve included a list of healthy food choices that should be high on your radar toward the end of this article. However, specific goals or deficiencies, along with limited access to natural or high-quality food sources, can mean that some level of supplementation can be useful. Let’s look at just a few. Though, keep in mind, whilst the suggestions outlined below are based on evidence, there is never a one size fits all approach. Therefore a lot of this comes down to interpretation and opinion based on experience with thousands of clients and athletes, along with my own interpretation of the research available. Which supplements should I take to lose weight? Assuming you have the basics in place, such as sufficient water intake and healthy sleep patterns (without which, nothing is going to be particularly effective), it is important to note that healthy weight loss also relies on a balanced (there’s that word again) approach combined with physical exercise. Not only that but, high levels of stress are killers of progress when it comes to weight loss. Lack of water or sleep is a stress, but similarly, an all-out attack on weight loss, at the expense of the rest of your life (work, family, fun etc) is not going to have the effect you hoped. Plus, trying to rush the process in an attempt to lose weight fast is never a good idea and ultimately just another stress that is going to hamper long-term results. However, assuming all those elements have been considered, the following supplements may be ones worth considering to maximise your efforts. As noted alread, these fats are called ‘essential’ for a reason. And if you are not giving your system the essentials to operate properly, non-essential functions (including fat burning) tend to take a back seat as your body tries to operate without all the necessary resources to do so efficiently. However, an imbalance in favour of Omega 6 is a direct path to inflammation in our bodies. This further inhibits the fat burning process. Given the correlation highlighted earlier, the simplest route to resolving this is to cut down on the omega 6 rich fast food options and fill up on the less prevalent omega 3s. Whilst you could focus on a diet high in Omega 3; common high-level sources, such as salmon, are rarely available in their wild, nutritious form. Most of us are more likely to favour the farmed variety that fill the supermarkets. And whilst the levels are still high (much higher than the products that tend to push how rich a source they are, such as many margarine tubs), in consuming enough to make an impact, due to their increased levels of Omega 6, (compared to their wild counterparts), it could make things worse. Further, omega 3 oils are easily mobilised within the body. So, by giving your system sufficient quantities, it is more likely to give up stored fats, safe in the knowledge that there is a plentiful supply coming in. Thus, large doses of omega 3 oils are useful in unlocking those ‘stubborn fat’ areas. Especially when you hit a plateau in your progress. Where most product packages will suggest a daily intake of around 3g, for the purposes of fat loss, especially if you are anything greater than the visible abs level, an intake of 9-12g could be beneficial. Conjugated Linoleic Acid (CLA) is a fatty acid that is highly present in grass-fed beef. However, as with Omega 3, most people eat the farmed versions that are pumped full of many things, least of which is grass. As such, deficiencies in this element are common. CLAs have been shown to fight cancer. They have been shown to help normalise blood pressure and reduce the chances of cardiovascular disease. They help with osteoporosis, inflammation and, importantly for this section of the discussion, improved body composition. Unfortunately, it is not exactly a cheap supplement and so heading to a farmer’s market to find grass fed sources of beef for your Sunday lunch may, suddenly, not seem to be the expense it previously was. However, this is certainly an area where deficiency is likely hurting your progress. Therefore it’s worth ensuring you are topped up. Even in the most tropical of countries, Vitamin D deficiency is common (as mentioned previously). So, in less than tropical areas, such as the UK, topping up from other means is a must. Not only does it have the effect of aiding the absorption of calcium, as already demonstrated. It has also been proven to aid weight loss in overweight and obese people who had previously suffered from a deficiency. Obviously a healthy and nutritious diet is going to include vegetables and some fruits. However, even if you do ensure a huge variety across your meals, it only takes one missing piece to cause a deficiency and stop the machine from working optimally. Greens powder supplements, unlike multivitamins, are mostly created from natural sources (fruits and veggies). Therefore, they are a much better supplement for covering a lot of ground in one go. And if you are in the ‘fussy eater’ camp that refuses to eat vegetables, this, whilst not a miracle solution (and should not be replacing ALL fruit and vegetable intake), can allow for some of your most detested veggies to be left to the side. One of the very few things that lives up to the promise of ‘burning fat’. The studies in this area have shown an increased level of fat burning over a placebo group, based on around 4 cups per day. Though I should point out, the studies I am aware of were all carried out over short time-frames. As such, proof of whether the effects continue over extended periods is uncertain. However, with the additional benefit of, apparently, protecting almost every organ system in the body, it’s certainly worth including regardless. In the past, if you lived anywhere but next to the ocean, you were probably deficient in iodine. Later, though, iodine became an addition in most versions of table salt and the problem went away in the main. However, given the issues table salt causes to your heath (see above) many people have started looking for more natural sources of sodium or are cutting back which means deficiencies are more common once again. If you have dry skin, suffer from unexplained fatigue, autoimmune diseases or depression or have trouble staying lean, there is a chance you are deficient. Which supplements should I take to build muscle? Possibly the most studied supplement out there. The benefits in supplementing with Creatine Monohydrate for general health purposes are incredible (see below). The studies began by testing the claims body builders and ‘bro science’ had been making for years. Though, unlike many claims from the gym floor, this one proved to be true. Supplementing with Creatine does allow for a definitive increase in performance. Please note though, I am only advocating Creatine Monohydrate here, not any other type. Fortunately, however, it is not only as or more effective than its rivals, it is also the cheapest. As mentioned already, the supplemental version of Zinc Magnesium and Vitamin B6 is one of the few occasions that beats the natural route. Otherwise, the Zinc and Magnesium intakes should be kept apart. However, beyond simply overcoming deficiencies, a study at Western Washington University showed athletes taking ZMA (versus a placebo) over an 8 week period showed more than a 30% increase in testosterone levels, significantly greater gains in strength and power as well as improved sleep quality. Further independent studies have since backed this up. Thus making this a solid choice for inclusion for anyone looking to add strength, power or mass from their workouts. I would also note that increased testosterone is also beneficial for fat burning. Probably the product that instantly comes to mind when thinking of supplements and muscle building. Amino Acids (protein) are, after all, the building blocks for muscle growth. So, any deficit is going to adversely affect progress. However, I didn’t jump to put this top of the list as, if your diet is satisfactory, it is more than possible to obtain sufficient intake from food alone to do the job. There is some evidence to suggest drinking whey protein post workout could have some additional benefits, but, at this time, the results seem inconclusive. On top of that, not all protein supplements are equal and the varying filtration processes can take the same raw ingredients and either make a highly effective, easily absorbed protein or one that gives gut issues and very expensive excretions. To a large degree you get what you pay for, so going cheap in this area is not advisable. But, as a topic of discussion this is a minefield and could take up an entire article of at least this length on its own. However, if you are interested in learning more, I’d strongly suggest Will Brink’s 50 Shades of Whey would be a solid place to start. Yes, it’s back on another list. However, it is logical to include it here, along with almost any list of supplement suggestions given the high chances of deficiency. Especially given its link to the uptake of calcium. And calcium is integral to strong bones. (Which are, in turn, required to cope with the tensile strength of strong muscles). At the risk of repeating myself, the options below assume the foundations of sufficient sleep and water intake are already in place. If you are lacking energy, yet these elements are not in place, is it really any wonder? However, if your energy is still lacking, despite having the basics in place, the following are worth a look. The main thing of note here is that these 3 things are not all the same. 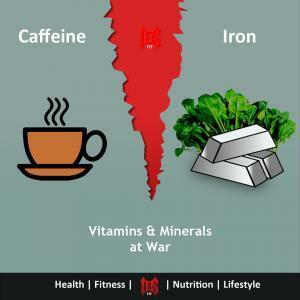 Along with Creatine Monohydrate, caffeine is one of the most studied supplements on the market. And the results have been extremely positive. (Though, as a stimulant, excessive use would be detrimental). Most of the positive affects you hear about in “why your morning coffee might be good for you” style articles are based on studies of pure caffeine. And whilst coffee contains caffeine it’s not as effective a stimulant or performance enhancer. That said, both coffee and green tea (as shown earlier) have their own uniquely positive elements. As such, they could be useful choices in getting your caffeine intake. But, for mental focus and performance alone, I’d suggest Caffeine; Green tea for the benefits already outlined and Coffee if you happen to enjoy it and there are always the antioxidant benefits. We’ve already covered the benefits of this supplement. And I further intend to explore them in greater detail in a future article. Therefore, I won’t labour the point. However, anything that is going to improve your quality of sleep, improve your muscle repair, brain function and focus, boost your immune system and improve your performance within exercise (which in turn is going to improve your energy levels) should be something worth considering. As a deficiency in either of these vitamins can cause extreme tiredness, lack of energy, muscle weakness and depression (among other symptoms); this is worth exploring if your focus is increased energy. Then, if necessary, supplementation may be well advised. Whether supplementing or consuming through food choices, it is important to ensure your body has all the nutrients required to function optimally. The human body is a sophisticated machine. It will adapt to most situations to survive. However, there is a difference between surviving and thriving. Often in shortfall, the body can produce the nutrients it needs. But there are selected nutrients that the body cannot produce and the only way for it to obtain them is by consuming them. 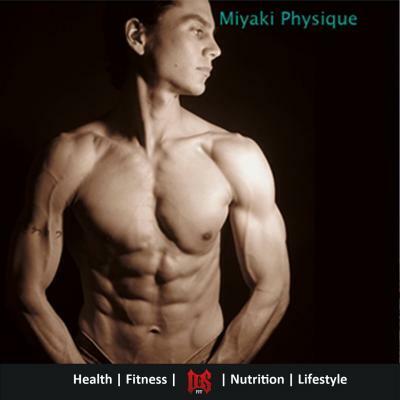 (Essential Amino Acids) Amino Acids (protein) are the building blocks of the muscles in your body. There are 21 amino acids in total. Your body can produce a little over half of these. However, that leaves 9 which, to avoid deficiency, must be consumed orally. This is worth keeping in mind when considering your sources of protein. Any product containing any of the 21 amino acids can list that content as protein. Only a ‘complete protein’ source, though, contains all 9 of the ‘essential’ amino acids. Fortunately, if you are a regular meat, fish or egg eater, you are ticking all the boxes. Nature does a very good job of putting these aminos together in a complete and balanced way. Some non-meat products do contain the full list of 9, but often as a small percentage of the entire amino profile. Some of the better sources, for non-meat eaters, include chia seeds,buckwheat and quinoa. Generally though, if you want to obtain all 9 of EAAs, you would have to combine foods with incomplete sources. And example of that would be rice and beans or spinach and almonds. However, if you are ONLY excluding meat for health reasons (rather than moral reasons) then your reasoning may be misguided if you are not taking this into consideration. If you do struggle to keep your EAA intake sufficiently high (specifically if you are looking to build or strengthen your muscles) then looking at a good quality whey protein supplement may be advisable. Sometimes referred to as ‘Vitamin F’ EFAs are also a must for inclusion in any healthy diet. These ‘good fats’ (there’s that term again) are required for proper function of every cell in the body; increased absorption of all the vitamins and minerals discussed so far; nourishing the skin, hair and nails; prevention of disease and ensure normal growth and development. In other words, they are pretty damn important. Breaking EFAs down into detailed categories is more complicated than is required here. In broad terms though, through consumption of Omega 3 and Omega 6 oils, you pretty much have your bases covered. I have previously listed good sources of EFAs. And we have also covered supplementing to ensure sufficient uptake. The purpose of bringing them up again here is simply to reinforce their importance. If you want to stay healthy, inclusion of these EFAs in your diet is not an option it is ‘essential’. This is a bit of a cheat. “We have only 2 rules in this prison. 1. Do not write on the walls. But, there is no getting around it. Deficiency in any area is going to cause issues. And whilst the human body is exceptionally adept at surviving and will often make things work. If you want to make any serious changes to your, health, energy or physique. It is of crucial importance that the ‘soil is fertile for the seeds to grow’. Given everything above, it may suggest that you should supplement with all vitamins. But keep them apart. Except, of course, for those that work in pairs. To do that, you’d end up spending every hour of every day just taking supplements. Of course, that would be ridiculous. Because everyone is different, everyone has different needs, goals and deficiencies. Therefore, it’s impossible to make a broad statement of what you ‘should’ be taking to keep things tip top. That said, there are a few areas I feel most people should at least look into further. Then consider including on a regular basis. Though I must reiterate, adequate water consumption and consistent, quality, sleep patterns should be the priority. If they are not in place, what follows will never be fully effective. As mentioned earlier, this is possibly the most studied supplement out there. And whilst the benefits to bodybuilders and athletes have long been established, the benefits don’t end there. In fact, the health benefits are too good to ignore. Whist not all of these are considered conclusive as yet, the evidence, as it stands, is very strong. And new studies continue to add to the benefits. As such, I strongly suggest everyone consider including Creatine as part of any supplemental routine. I think I’ve covered this choice extensively already and there is no point in repeating myself in full. Given how common deficiencies are in this area; how difficult it is to top up from food alone; and how beneficial the supplementation can be for those with deficiencies; I must include it on this list. As Vitamin D is generally absorbed through the skin, I prefer to use the spray version of the supplement. I’ve mentioned numerous times that I intend to follow up with an article extensively covering the benefits of zinc. The benefits to the immune system are, themselves, worth considering supplementing with this mineral (or upping your zinc rich foods). If you are only taking it for its immune system boosting properties. Or because you have the cold or flu already and are looking to speed up your recovery. Then zinc alone would be a viable option. (Especially if you can get a hold of the high dose lozenges that are popular in Scandinavia). However, if you are also looking at athletic performance, recovery, sleep quality and muscle building, I’d suggest looking to ZMA. Just remember not to create this combination yourself by consuming separate Zinc and Magnesium sources together. At a glance, the benefits of curcumin look like they are too good to be true. With a hit list like that, why would you not consider upping your intake? As curcumin is the largest ingredient in turmeric, many of the benefits of turmeric are the same. Though curcumin has proven to be a little more effective in some areas. That said, curcumin is also difficult to absorb. So it is also worth adding some black pepper as that combination improves absorption. Nitric Oxide is one of those supplements that still gets a lot of hype. And so a lot of gym goers continue to buy into it. Full disclosure – for years, I was one of them. I would guzzle down my NO2 supplements every day before hitting the gym and swear they made a difference. What they are ‘supposed’ to do is to is act as a vasodilator. Causing increased blood flow and therefore performance and recovery. Unfortunately, despite their continued popularity, these supplements have been shown, categorically, to do absolutely nothing and are of zero benefit. However, the idea that led to the belief in these supplements does have some merit. Improved performance has been show when Nitrate consumption has been at a sufficient level. And where can you get high doses of nitrate in the correct form? Whilst available in other vegetables, one of the biggest sources is beetroot. This topic is far too vast for this article, as there is much more to it than this ‘soundbite’ version. then hopefully that is sufficient to cause you to consider adding this to your intake. Or, at the very least, researching the matter further. The reason the supplements mentioned under the list for fat loss, including Greens Powder, Iodine and Green Tea, are so beneficial is they help your body function better. And in doing so, your body has more resources available to make the changes you are trying to force it to make through lower calorie consumption or increased exercise. However, even if fat loss is not your goal, it’s still a good idea to have your body functioning optimally. Therefore, each of those listed in that list are worth considering for a well-functioning system. Ultimately this is all well and good. But it should never detract from the truth that your primary nutritional needs should always be sourced from real food. Organic, wild, grass fed & free range have all become more of a marketing tool these days. But the truth is, these are the elements you should be looking for to ensure high quality nutritional intake. And whilst the farmed versions of most foods will be cheaper to buy, given the deficiencies they could be causing you, if you are simply going to top up with supplements, then you clearly need to factor in the cost of the supplements in the difference in price. However, now you understand how ineffective a multivitamin can be, it may not be the cheap alternative it once seemed. That said, whilst, in a perfect world, you would look to be completely raw, organic and as natural as possible. For many that is simply not practical. Whether for financial reasons or simply the time involved to get to farmer’s markets. Or simply sourcing good quality products. It is likely that something is going to have to give. So where can you maximise your investment when it comes to food purchases? Which sources are at the top of the food chain when it comes to nutritional value? In particular cruciferous vegetables (Spinach, Broccoli, Kale etc). All vegetables are rich in nutrients. But you get more ‘bang for your buck’ from these in terms of nutritional punch, digestive enzymes and absorption. Though, it’s worth noting, pesticides and the like may have lessened effects on other vegetables. Those with thicker skins or grown under-ground (potatoes, carrots, parsnips etc), have a natural barrier. As there is no defensive layer here, more damage will occur. So, if you are only going to go organic in one area, this might be the best choice. We have discussed the benefits of omega 3 oils and how essential they are to a healthy diet. And with the wild versions of fish, such as salmon, so much richer in nutritional content. This is certainly an area where the wild version is worth investing (despite the often steep price difference). Remember, it’s not just the Omega 3 Fatty Acids you are stocking up on here. Salmon is also a rich source of most B vitamins; vitamin D; potassium; selenium and antioxidants. Not to mention it’s a great source of protein and is a complete source of EAAs. That is not to say that occasional intake of the farmed version is bad for you. It certainly beats a burger and chips for health purposes. However, in the farmed versions it is common for Omega 6 levels to be vastly higher. As such, the 3 to 6 ratio would be moved in the direction most are looking to reverse. The levels of saturated fats are also higher. The levels of mercury in farmed salmon were also, previously, though to be prohibitive. But more recent studies have shown that to be a bit of a myth. So, it is not that farmed salmon is unsafe. Rather the wild version tends to pack more of a nutritional ‘punch’. Thus it could be worth the additional investment. Either way, an effective, nutritious diet should include oily fish, including salmon, mackerel, sardines and tuna. As a high source of protein, vitamins A, B7, D and Iron. Plus, having been shown to improve cholesterol balance (more on that here). Eggs are one of the most complete food sources available. Obviously, again, the source is important. And free range out performs the caged versions (before even starting the moral arguments). So, assuming your morality doesn’t stop you. And so long as you have no intolerance issues. Eggs should be a staple in any healthy nutrition approach. Before I even start here, we could get into a long argument about the definition of a berry. Strangely, from a botanical sense Strawberries and Raspberries are NOT berries. Bananas, however, would be considered a berry. The fruit’s origin dictates this. (A berry is derived from one flower, with one ovary and has multiple seeds). However, in this context, whilst blueberries (which are true berries) would likely rank a little higher on the list. All berries (including bananas) would rank highly here. They are rich in antioxidants. Lower than most fruits in fructose (sugar). And the combined nutritional benefits of this group is plentiful. A recent study called “the Global Burden of Disease Study” (one of the biggest studies of its kind ever conducted) showed the biggest killer of humans to be diet. Poor diet is responsible for killing almost 5 million people per year. However, it concluded that if Americans (for example) ate just one more serving of fruit per day it could save around 30,000 lives every year. Given this information, everyone should be running to their fruit bowl more often. And whilst all fruits have some benefit, putting more emphasis on the berry category could be beneficial. It will also help ensure you don’t suddenly have an issue from increased sugar and calorie intake. Everything in moderation! But this is an area that, for most, should be moderately higher. (Unless you are on some kind of fruit only or juicing type diet. In which case, you’ve probably gone too far!). As with berries, we could get into the argument of “what constitutes a nut?”. But, again, for these purposes, we are using the ‘catch-all’ version to include things like almonds and cashews. Which are not, by definition, true nuts. Especially for those who avoid animal based products, this is a particularly important area to focus on. From calcium-rich almonds. Which are also high in vitamin E. To Brazil nuts. Which are high in selenium and is good for your immune system. On to cashews for iron and zinc intake. Hazelnuts, which are a good source of folate. And chestnuts, which are a great source of vitamin C and many B vitamins, including B6. It’s clear that a good mix of nuts in your diet can be very useful in making up deficiencies. Obviously, there is a caveat here. In that, if you have any kind of allergy, you must avoid. Plus, as they are generally high in fat, they are extremely calorie dense. Making it is extremely easy to overindulge. But, keeping those things in mind, this is a very good area to look for a quick snack. Especially if you are trying to up your calorie intake. Or if you simply have some deficiencies that they solve and want to avoid taking pills and powders. This isn’t an area to over-indulge, due to the levels of saturated fat (which is healthful in moderation). However, due to high levels of CLA and iron, among others, beef could be extremely beneficial to a healthy diet. The words ‘Grass Fed’ however, do not always ensure the quality you might expect. Because ‘Grass Fed’ has become such a buzz term in recent years, some farmers are finding loopholes in the system. A cow that has been grass fed for ‘most’ of its life would still qualify for this moniker. Meaning, it could be grass fed every year of its existence. Then, for the last 6 months or so, pumped full of grains, antibiotics and anything else that will add size. Bulking up quantity for sale. Yet ‘grass fed’ could still go on the label. That label alone would then, most likely, push the price up. As such, what you really want is ‘Grass Finished’ beef. Alas, that doesn’t seem to be a term people are overly familiar with. So distinguishing between the two can be difficult. Unless you are willing to visit the farm for yourself. Yes, you read that right. Chocolate! I had to put something that could liven things up and make you happy. Yes, dark chocolate is a healthy option. Actually, it’s one of the healthiest options here. Fibre and magnesium are both abundant. And it is one of the most powerful sources of antioxidants available. Just keep in mind, we are talking dark chocolate only (70% cocoa and above to be clear). So this isn’t an excuse to go grab a mars bar. (Or a snickers, arguing the nuts are making it even healthier). But, yes, if you have a sweet tooth, there is no need for complete abstinence. In answer to the opening question, the obvious answer is, yes, multi-vitamins are a waste of money. However, that does not mean that all supplementation should be avoided. When it comes to your health, fitness and well-being, there is never a one size fits all solution. Nor is there a simple solution that just requires a payment and minimal effort and the results come flooding in. The information here, though, should help in making smarter choices. Leaving you better equipped to dealing with deficiencies. And more targeted in your approach for specific outcomes, such as fat loss, muscle building or increasing your energy. Despite the apparent complexity, given the volume of content above, there is never any need to make things complicated. Make sure you get the basics right (water, sleep and managing your stress levels). Ensure a good balance of food choices. Whenever possible, go for organic, wild, free range and grass fed options. Prioritise the list of ‘foods rich in vitamins and minerals’ above for basic health and optimisation. If you have a specific goal that you feel supplementation might help optimise; refer to that list and make your choices based on the information. The only element that could be difficult to remember is in the specific pairings that work and those that clash. To make things simpler, I’ve created a one-page PDF. Download it and print out to keep on your wall, fridge door. Or simply store on your phone or tablet for reference. And most of all, don’t stress about it. Every improvement you make is a step in the right direction. One step at a time and you’ll see noticeable results. What are your takeaways from this? Does any of this surprise you? Do you think I’ve missed anything important? 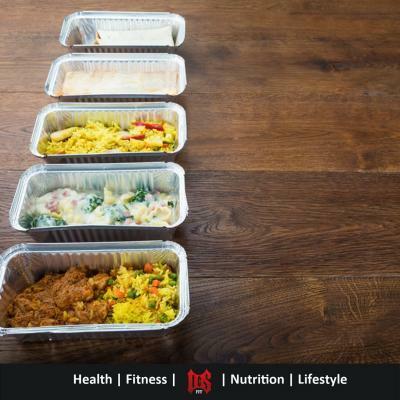 What are your strategies for ensuring a complete, yet balanced diet? And what supplements, if any, do you use regularly? I’d love to know, so sound off below. Until next time, stay hydrated, stay healthy, stay awesome. What Are Your Calorie Requirements? Gyms, Fitness Studios & Fitness Classes in Glasgow, Clydebank and the West of Scotland mostly follow the same model. Sell as many memberships as possible and when there is no more room, let the members sort it out. 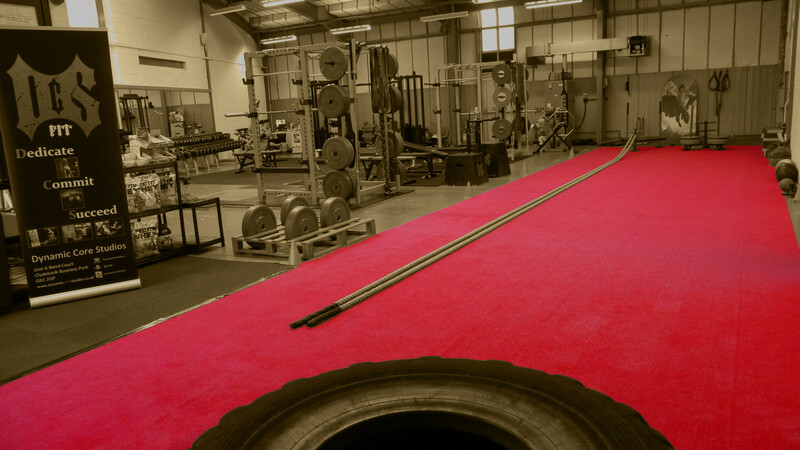 We sought to change that by delivering a facility where every element is designed to maximise your efforts. Located 5mins from Bearsden, Anniesland, Glasgow’s West End in General. Whether a Personal Trainer, a client, a member looking for assistance or to avoid queues, someone looking for a group fitness session, but wants it to still focus and develop with their needs, we have you covered. Tours; Consultations & Services subject to prior booking. Our 30 day guide is not an "Eat these meals, lose this weight" diet approach. Rather it is a complete over view starting with a 2 day preparation phase followed by a 4 week holiday for your hormonal functions. Giving your system a rest in order to function at its peak. And what does that meant? No matter what your goals - fat burning; muscle building; increased energy; added strength - these will all be much more achievable because your body's systems will be operating at a higher level.